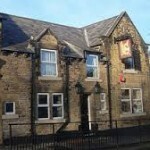 Located in the small village of Ecclesfield. It’s a 2 minute drive from junction 35 of the M1. The position of the clinic means ease of commute from wherever you are travelling.